Don't let the distance fool ya - the Climb is a short but steep burn from start to finish. Yes, you do have the luxury of taking a chairlift to your start - but you still get the humbling honour of running the steepest and most gnarly sections of the course. Before we get into it, one of the most important aspects of this race is ensuring you’re heading up the gondola in a timely manner! It takes a good 20 minutes to ride the chairlift to your start line. You’ll need to make sure you're on the chairlift no later than 3:30 pm. The Blood runners start from the bottom of the chairlift, and the Climb begins from the top. The Blood course passes directly past the top of the Catamount Chairlift - basically across your start line on the Kicking Horse service road. For about 500 m you're on the road before commencing an abrupt climb...just to get the blood pumping right off the bat. It then gets even more aggressive and hurtles up Show Off, a winter alpine run that is directly below the gondola. The incline is REAL. It’s rocky. It’s a reckoning. After Show Off, at tower 15 of the gondola, runners hit a beautiful single track known as the CPR Ridge Trail. This will take runners directly under the Gondola to the top of CPR Ridge and over to the summit of the mountain and top of the Gondola. The last 250 m will be reasonably flat, so plan to stretch it out with a big sprint... or not! 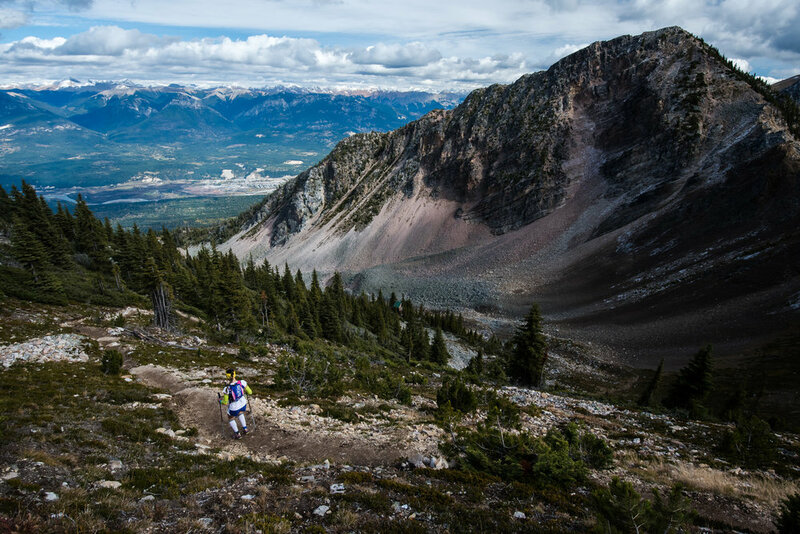 The finish line is the encore, as you'll find yourself at the summit of Kicking Horse mountain. Bask in the 360-degree views reaching deep into the Purcell Mountains, across the Columbia River Valley and back to the Rocky Mountains. Relax and cheer for the other finishers before you head back to the bottom on the Gondola and refuel with a nice big meal to Conquer day 2! Outward Bound Canada rings in their 50th anniversary at the Golden Ultra! One of the biggest groups we’ve ever had is coming to the Golden Ultra this year with Outward Bound Canada! We are SO thrilled to be hosting over 20 participants from Outward Bound in Golden this fall. They will be coming from all over the country, and - for many of them - this will be one of their biggest challenges to date, mentally and physically. So why the Golden Ultra? This year is Outward Bound Canada’s 50th anniversary, and to honour that they’re undertaking a number of big fundraising initiatives aimed at keeping their life changing programs accessible for those who need them most. Runners with Outward Bound Canada’s group will be fundraising to do exactly that. A bit more on Outward Bound Canada: they’re an incredible not for profit organization that partners with high schools, universities, community groups, government agencies, and more to assist youth and adults in challenging times of transition. Their philosophy is “there is more in you than you think” and they strive to cultivate resilience, leadership, connections and compassion through inspiring and challenging journeys of self-discovery largely based in the wilderness. Their core charitable groups include Veterans, Women, Indigenous People, and Vulnerable Youth. Why not undertake a massive challenge to show your commitment to keeping the outdoors valued and accessible to everybody? If you would like to get involved with OBC, they’re offering a fundraiser geared towards anyone who will be participating in this year’s Golden Ultra. Imagine your trip to Golden is free and you’re able to make a donation to Outward Bound Canada’s Women of courage program (for example). If this opportunity calls your spirit, then check out the link below for more information on how to get involved. We recently posted our UTMB points, so if you’re new to trail running, racing, or ultra running, you may be curious as to what the acronym UTMB stands for...well, now you can wonder no more! The Ultra Trail du Mont Blanc circuit is comprised of 7 different races over a week at the end of August, with the namesake race encompassing a 171KM route of Mont Blanc - the tallest peak in the Alps and Western Europe. These footraces came into fruition in 2003 and are now considered by many to be the “crown jewel of ultrarunning”. To be eligible for the UTMB, you must collect 15 points at various qualifying trail races over a period of two years prior to the race (The other 6 races have varying points requirements, which you can read more about on their website - link below). While elite runners complete the loop in slightly more than 20 hours, most runners take 35+ hours to reach the finish line, as race conditions can be extremely challenging every year. It’s not uncommon to not finish this beast of a race! If this epic undertaking is on your radar - we can help you get there! There are 6 different ways to obtain points to qualify for the UTMB at our Golden Ultra weekend. We have 4 single day races that will get ya some digits, and two stage races that will also qualify you for a grand European adventure. For more information on the UTMB “grande aventure” and the other races that take place during UTMB week, you can visit their website here. This just in - we’ve heard back from the UTMB on our new 2019 courses, yewwwww!!! 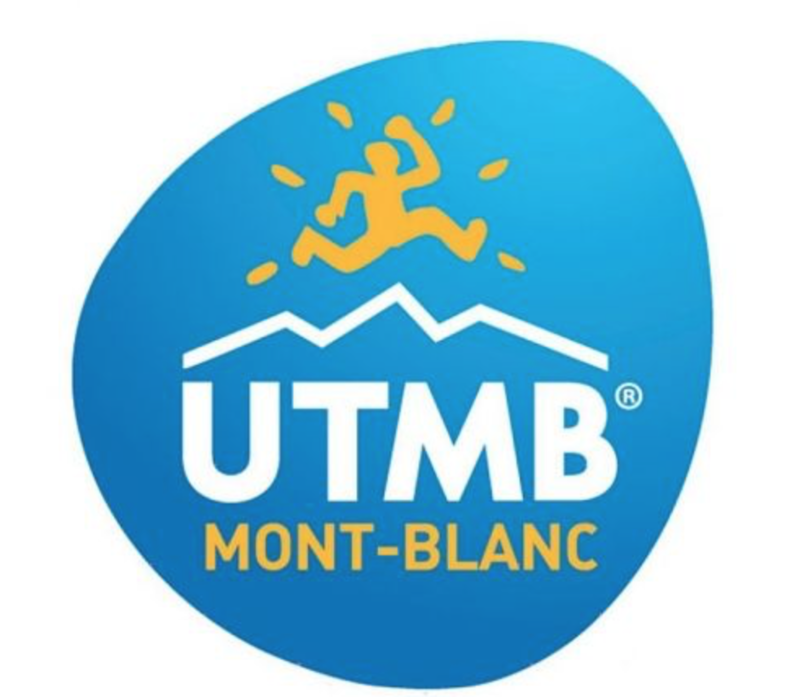 For those of you who aren’t familiar with the UTMB (if you’re new to ultras, you’re in a safe place) - the Golden Ultra is a qualifying race for the Ultra-trail de Mont Blanc. HOW DOES THE UTMB POINT SYSTEM WORK? Essentially, you need to collect qualification points by running races which show that you would have the ability to take on a UTMB race. You have 2 years to collect the points (ex. from 1st Jan 2019 until 31st December 2020 for the 2021 UTMB races). Points are based on race difficulty on a scale of 1-6, with 6 being the most difficult. You then enter a lottery, and then there’s a draw that takes place in early January each year. You need 15 points to qualify for the UTMB lottery. Our event is currently one of four in Canada where runners can earn 5 points!